MEDI+SIGN is dedicated to the automation of patient communication at the bedside and reshaping patient safety and coordination of care. 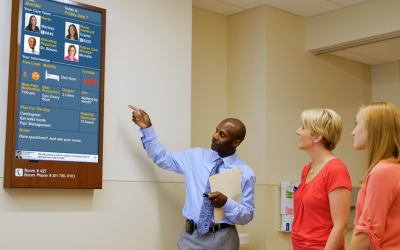 The MEDI+SIGN solution is a Patent-Pending connected health platform that includes fully-automated patient communication and digital whiteboard display solutions that improve patient safety, communication and care coordination between patients, family members, and staff. MEDI+SIGN is the sister company of Noventri, established 1978. For over 40 years Noventri has served a wide range of clients, including AstraZeneca, Bristol-Myers Squibb, Proctor & Gamble and Lockheed Martin. MEDI+SIGN leverages a unique, Patent-Pending version of the renowned Noventri technology, explicitly enhanced for hospitals and healthcare organizations. The hardware and software have been battle-hardened over the last 16 years, certified and field-deployed on Department of Defense (DoD) and Protected Health Information (PHI) networks. Steve Lieber has recently retired as President and CEO of HIMSS (the Healthcare Information and Management Systems Society), a global, cause-based, not-for-profit organization focused on better health through information technology (IT). Mr. Lieber has over 35 years of experience in healthcare, primarily in healthcare association management, serving 17+ years as HIMSS’ President and CEO (2000-2017). Previous positions included serving as the Executive Director of the Emergency Nurses Association (ENA) for nearly nine years before accepting a position with the American Hospital Association as Vice President, Division of Personal Membership Groups. Prior to that, Mr. Lieber worked at the Illinois Hospital Association as Vice President of Operations. During his tenure at HIMSS, Mr. Lieber not only served on the Board of Directors of HIMSS and its related corporations, but he has also served on numerous other corporate, non-profit and coalition boards and groups. He was one of the founders of the Certification Commission for HIT and the Health Information Technology Standards Panel, two U.S. federally funded initiatives at the foundation of the U.S. interoperability effort. 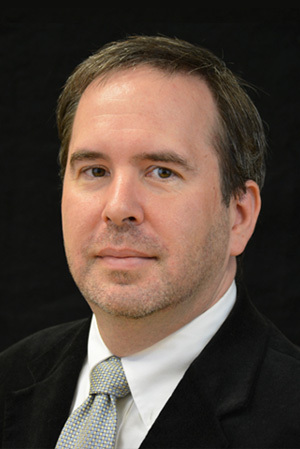 As a nationally recognized commentator on health policy, in general, and specifically on healthcare IT trends and issues, Mr. Lieber is a regular speaker and contributor to corporate strategic planning efforts, government-sponsored policy efforts, private sector initiatives and other non-profit organizations. Currently, Mr. Lieber consults with associations and companies in the areas of governance development, strategic and operational analysis, and international business expansion. He also serves as a technical and business advisor to several start up companies in the technology sector. 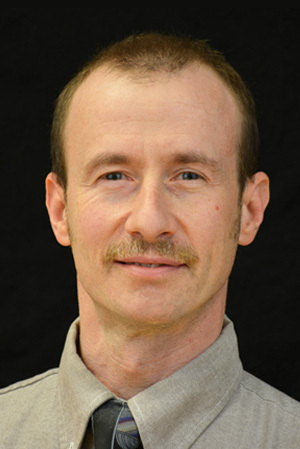 Mr. Lieber holds an MA from the School of Social Service Administration at the University of Chicago, a BA in Psychology from the University of Arkansas, and has completed additional course work at the graduate schools of business at both universities and at the Keller Graduate School of Management. Steve has been a Certified Association Executive (CAE) since 1994, is a member of the American Society of Association Executives and Association Forum of Chicagoland and has been awarded honorary life memberships at the American Hospital Association, the American Society of Healthcare Risk Management and HIMSS. 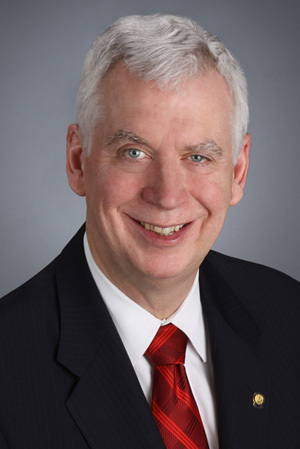 Dr. Thomas C. Dolan, Ph.D., FACHE, FASAE, is president emeritus of the American College of Healthcare Executives, an international professional society of more than 40,000 healthcare executives who lead hospitals, healthcare systems and other healthcare organizations. 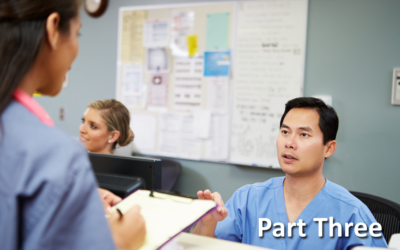 With comprehensive programs in credentialing, education, career counseling, publications and research, ACHE works toward its goal of being the premier professional society for healthcare executives dedicated to improving healthcare delivery. 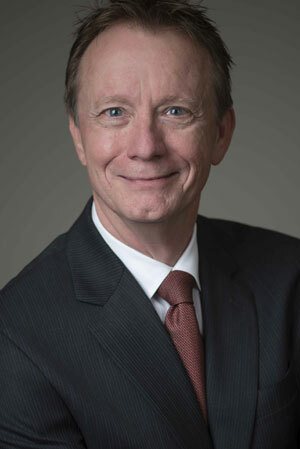 Dr. Dolan served as president and chief executive officer from 1991 to 2013. Before his appointment as president and CEO, he served as ACHE’s executive vice president. Prior to joining ACHE, he held a variety of teaching, research, and administrative positions at St. Louis University, the University of Missouri-Columbia, the University of Washington and the University of Iowa. He has served as chair of the American Society of Association Executives, Association of University Programs in Health Administration, the Association Forum of Chicagoland, the Board of Overseers of the Malcolm Baldrige National Quality Award and the Institute for Diversity in Health Management. He has also served as president of the International Hospital Federation and the Mental Health Association in Missouri and as a member of the board of trustees of Alexian Brothers Hospital in St. Louis. Dr. Dolan is a board member of Volunteers of America. He is board certified in healthcare management and a Fellow of both the American College of Healthcare Executives and the American Society of Association Executives. Dr. Dolan is also a Certified Association Executive. He received his doctorate in hospital and health administration from the University of Iowa and his bachelor’s degree from Loyola University Chicago. 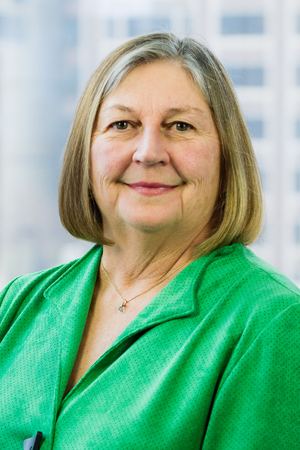 Pam Thompson, MS, RN, CENP, FAAN, is chief executive officer emeritus of the American Organization of Nurse Executives (AONE). Prior to her appointment, she served 16 years as AONE CEO and senior vice president nursing/chief nursing officer of the American Hospital Association. She was responsible for the management and administrative leadership of AONE, as well as the AHA Workforce Center and addressing issues specific to strengthening the health care workforce and the redesign of patient care delivery. Before joining AONE, Thompson was vice president of the Children’s Hospital, Obstetrics, Psychiatric Services, and Strategic Planning at Dartmouth-Hitchcock Medical Center in Lebanon, New Hampshire. Thompson served as the chair of the National Patient Safety Foundation (NPSF) Board of Directors, was a member of the Lucien Leape Institute of NPSF and the NPSF Board of Advisors. Thompson was also chair of the New Hampshire Hospital Association board of trustees and the New Hampshire Foundation for Health Communities, as well as past president of the New Hampshire Organization of Nurse Executives. Thompson was a founding member of the Behavioral Health Network in New Hampshire and served as chairman of the board. Pam’s passion is her international work. She has developed and taught in numerous leadership programs in Croatia, Central and Eastern Europe, the former Soviet Union Republics, Tanzania, and Mozambique. Thompson is the recipient of numerous awards including the American College of Healthcare Executives 2009 Edgar C. Hayhow Award for an article she co-wrote about the results of a national survey on chief nursing officer retention and turnover. She also received the California Association of Nurse Leaders Lifetime Achievement Award, the National League for Nursing’s President’s Award, the AONE Lifetime Achievement Award, the American Association of Critical Care Nurses’ Distinguished Career Award, and the Executive Fellows in Innovation in Healthcare Leadership inaugural Kathy Malloch Innovation in Education award. She earned her Master of Science degree from the University of Rochester, New York and her Bachelor of Science degree from the University of Connecticut. Thompson is a fellow of the American Academy of Nursing. She resides in Manassas, Virginia with her husband, Bob. She is a beekeeper and enjoys travel and cooking. Dr. Anthony Stanowski is the President and CEO for the Commission on Accreditation of Healthcare Management Education, known as CAHME. CAHME serves the public interest by advancing the quality of graduate healthcare management education through accreditation. Nearly 100 programs at universities in North America are CAHME-accredited. 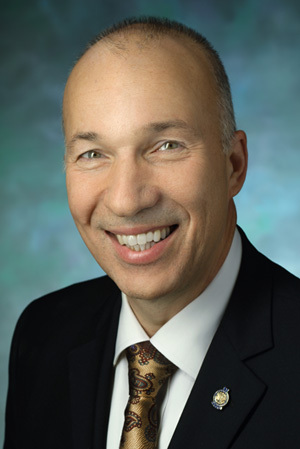 During his career, Anthony held executive/management roles at Fortune 200 companies (Aramark, Thomson Reuters Healthcare Division now DBA as IBM Watson Healthcare), small innovative entrepreneurial organizations (Applied Medical Software), and Philadelphia area providers Jefferson Health System, Main Line Health, and Graduate Health. Anthony is a frequent conference presenter and author. In 2015, Anthony co-authored the book, We Have A Match: My Journey through America’s Transplant System, which details the challenges of providing a positive patient experience in the transplant system. He served on several boards. He is the chair of the board Quality Committee at Bon Secours Baltimore Health System. He served on the American Hospital’s Association Committee on Governance, as a President of the Healthcare Planning and Marketing Society of New Jersey, and was the inaugural president of the Widener University Healthcare Management Alumni Association. 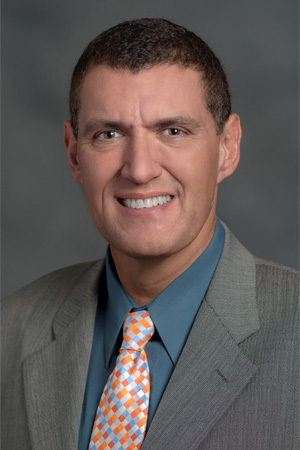 Anthony received his doctorate degree from the Medical University of South Carolina, where his doctoral thesis focused on the relationship between patient experience and costs. 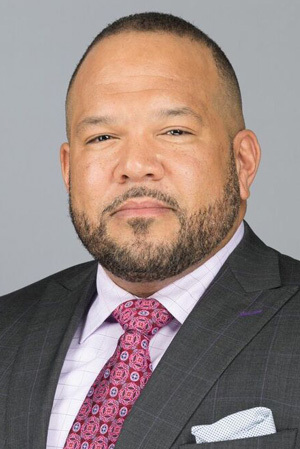 He holds graduate degrees from Drexel (Marketing) and Widener (Health Care Administration) Universities, and a bachelor’s from the University of Pennsylvania (Communications and Psychology). He is Board Certified in healthcare management as a Fellow in the American College of Healthcare Executives. Harley Flack, founder of FlackAttack Ventures Incorporated (FAV), is a dynamic and mindful thought leader and operator. Harley has been deemed an innovator in strategy, process improvement, acquisitions, ethics, networking, financing and capital strategies. As a founding partner of an active Private Equity Investor with assets in multiple vertical segments around the country and total net revenues of more than two hundred fifty million dollars raising more than four hundred million dollars for both operations and mergers and acquisitions. Harley works as the Executive Operating partner for the investment portfolio. between government and the private sector. has served on the Executive Board of Directors for the Community Foundation of Anne Arundel County. and the University of Maryland for Graduate Studies. David’s interest in technology and electronics started at the age of five, when his father, an engineer himself in the former Soviet Union, handed David a soldering iron and a bunch of relays. After moving to the United States from Ukraine at the age of 12, David’s entrepreneurial spirit flourished. In the early 1980’s, throughout his high school years, David concurrently attended Electronic Technology Institute in Cleveland, OH, and spent his nights overhauling broadcast transmitters, which were the early years of Specialized Communications. David observed that the need for broadcast video equipment engineering and maintenance was emerging and the Baltimore/Washington area was the ideal place for the company’s headquarters. In 1987, two years after a strategic move from Cleveland, OH to Hagerstown, MD, the company was incorporated. David was one of two founding members and took over all business operations in 1987, buying out his partner soon thereafter. David continued his education after moving to Maryland, focusing on physics, mathematics, and business, receiving numerous certifications and awards in the broadcast industry. Over the following decades, David propelled the small broadcast service company from two men working at a kitchen table, to a 30+ employee, multi-million dollar corporation. In 1999, David took the company into the digital signage market, founding what became Noventri. David has led the company through innovation, product development and industry insight, to catch the eye of many industries, including healthcare, manufacturing, DoD, hospitality, food service, and many others, as a modern-age solution to the static sign. David’s greatest joy was to passionately lead the talented Noventri team to successfully develop and engineer the only USA-manufactured digital signage player and content creation software, specially designed with DoD-level security and reliability. In 2006, David, leading the Noventri team saw the need to automate the tedious, error-prone processes in hospitals, primarily the hundreds of thousands of patient whiteboards. The seeds of MEDI+SIGN were laid and R&D started, expecting EMRs to become a standard in the near future. Forming a medical division, David led the team through many years of R&D and pilots, filing for a Patent and finally announcing the formation of MEDI+SIGN. David is an instrument rated pilot and enjoys Olympic weightlifting, cycling and spending time with his family. He lives in Washington County, MD with his wife and two daughters. Tim Rollins is a thirteen year veteran of MEDI+SIGN, currently serving as the Chief Technology Officer where he oversees product development. With extensive experience in 12 different coding languages, TCP/IP networking, and nearly all standard enterprise database solutions, Tim is also responsible for all web development, database administration, and connectivity at MEDI+SIGN. Tim completed the two year program in Graphic Communications at WCTHS with multiple awards as well as high honors, and was quickly recruited by Quad Graphics prior to his graduation. After graduation, Tim immediately accepted the offer, and progressed through multiple positions. Looking to further his career, he secured a position at MEDI+SIGN as an entry level graphic designer. Quickly climbing through the ranks, Tim moved into the position he currently holds today. Alongside his career, for seven years Tim also volunteered at the Hancock Rescue Squad consistently receiving awards yearly for top responder, and served as the Vice President in 2009. During this time, Tim played a key role in acquiring grants for new equipment, purchasing a new facility, and remodeling company bi-laws. Throughout his time in EMS, Tim obtained many certifications through the University of MD, MFRI including Maryland Emergency Medical Technician. Devoted to his current career, Tim put aside his volunteer work and focuses solely on advancing MEDI+SIGN to the next level. Robert Mullen has been a core team member at the company since 2008 and is involved in all aspects of sales, marketing, strategic planning, account management, contract negotiations, and trade show participation. His knowledge of computers and networks has proven invaluable in support of his clients. Robb is a graduate of Frostburg State University with a degree in Mass Communications. 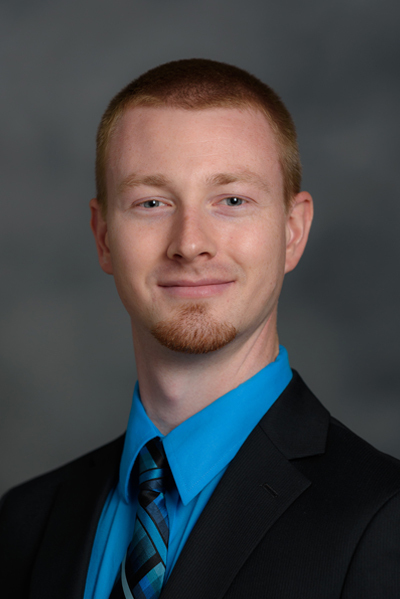 His previous career experience includes over 5 years in Industrial Engineering, conducting time studies of employees and regression analysis of collected data, for the purpose of improving expectancy in manufacturing and distribution center settings. Robb also has over 10 years’ experience in hotel/restaurant management. Robb lives in Washington County. He enjoys photography, travel, hiking, and learning new languages. Keith Wagaman joined Specialized Communications right after his service in the United States Air Force in 1992, where he served as an Avionics Engineer at Chanute AFB in Illinois and Travis AFB in California. Keith is responsible for operations of our entire service center. Keith also aids in the engineering and integration of our digital signage products and leads onsite installations. His knowledge and experience makes him one of the most resourceful individuals we know. MVDconnect signs a dealer agreement with MEDI+SIGN to assist hospitals in raising HCAHPS scores, patient satisfaction and patient safety. 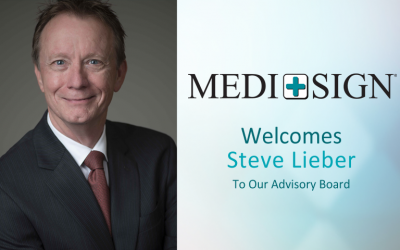 MEDI+SIGN is honored to announce Steve Lieber as Advisory Board member to assist in the company’s healthcare communications and technology endeavors.